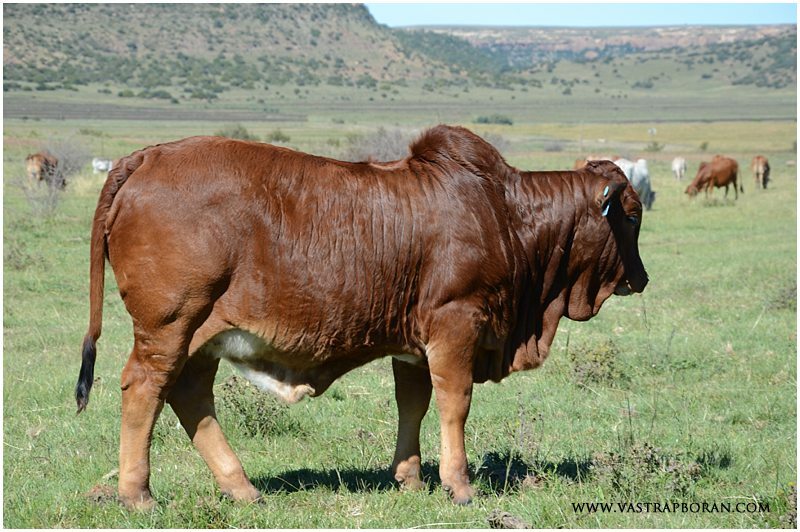 Vastrap Boran is excited to introduce one of our new stud sires, Samurai SS 11-31 (Dianna SS 06-03 x Kobra SS 08-61). 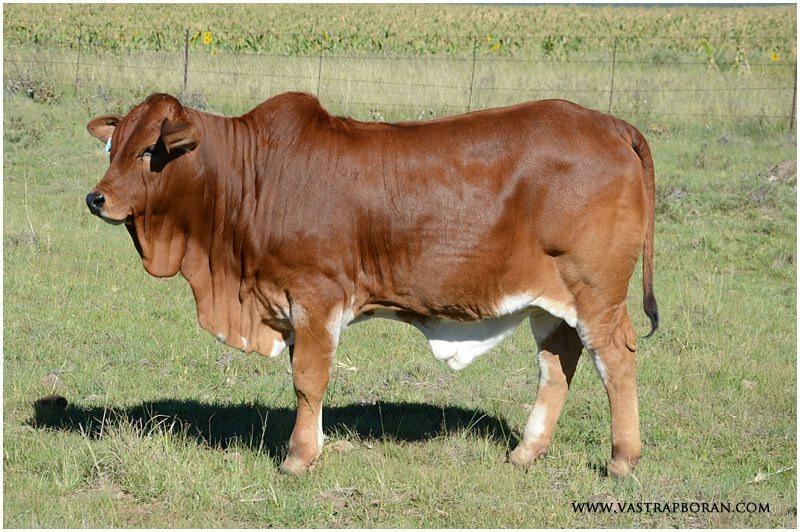 His mother, Dianna SS 06-03 (HVT 97-15 x HVT 95-03) caught Quentin’s eye very early in his stud breeding career when he visited Corn van der Watt in January 2012. 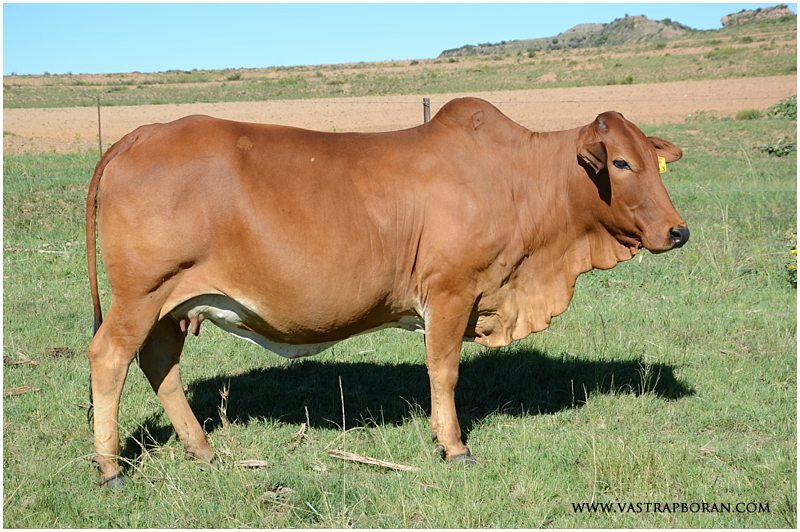 She is an extraordinary cow – beautiful with a stunning femine wedge, good length and width and fantastic breeding ability. Kobra also impressed. 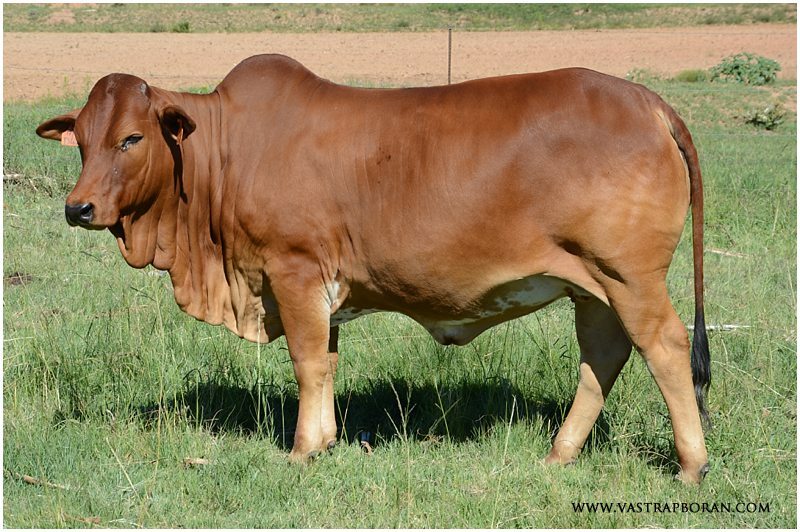 On that visit Quentin saw three different groups of multi-sired embryo calves at Sandsonia, and in his opinion, Kobra’s progeny were leagues ahead of the other bulls used on the same dams. We would like to thank Corn and Johan for offering such a top specimen for sale. In our opinion, Samurai impresses both phenotypically and genetically. We would also like to thank Stephen Johnson with whom we consulted extensively before making this purchase. Samurai SS 11-31 (Dianna SS 06-03 x Kobra SS 08-61). 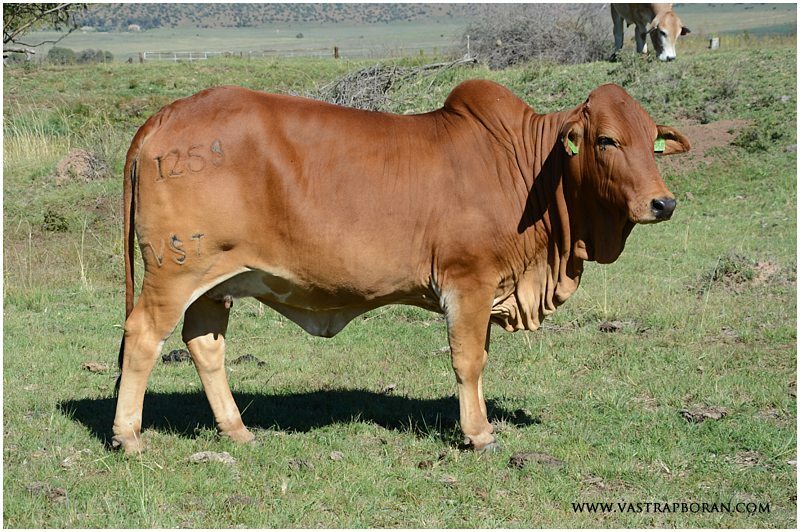 One of the main reasons that Quentin remembers Dianna so well is that her breeding goes back to 1603 on the sire side and ADC 3746 (Mutara) on the dam side, which is so similar to one of our best cow bloodlines, namely Savanna. 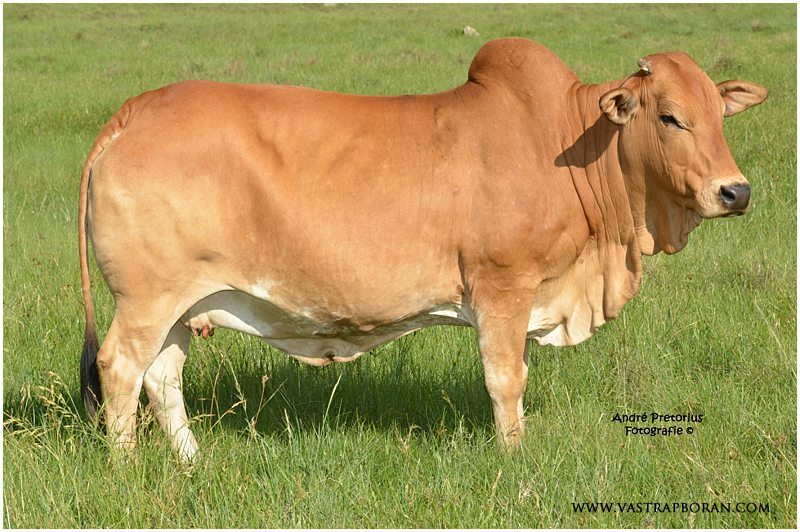 The Savanna granddam, Savanna TLM 00-03 is also a HVT 95-03 (1603) daughter out of B 96-009 (ADC 8408). 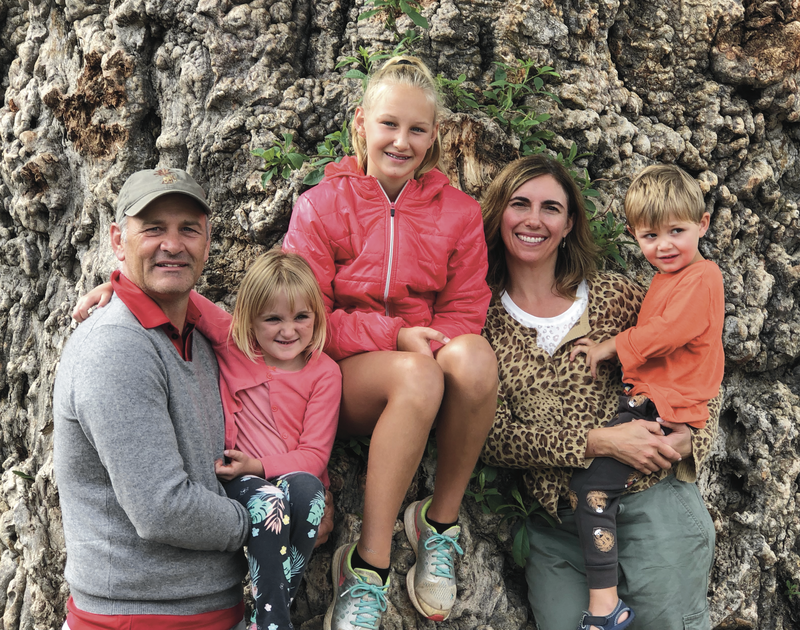 Both Savanna and her daughters produced some of the best offspring every year. Unfortunately, the Savanna bloodline does not flush very well, so we have not been able to multiply this bloodline effectively. 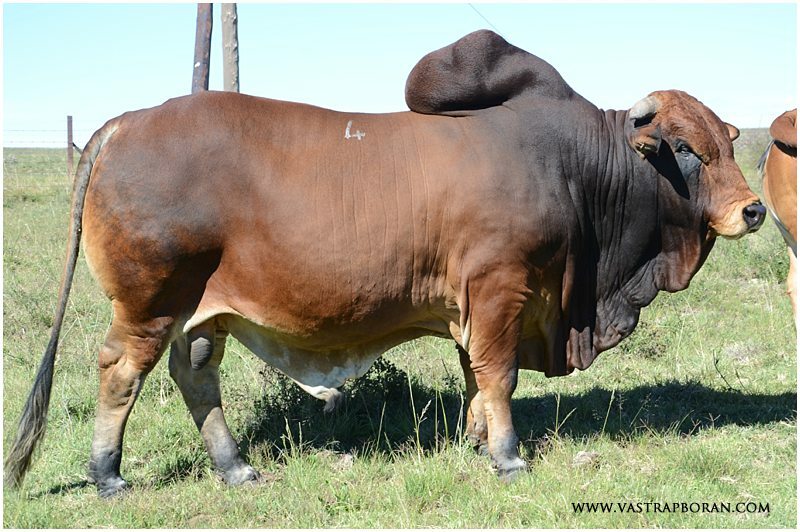 With only natural mating, it is also extremely difficult to produce a stud sire that we can re-use in the Vastrap herd since many of the females will be related to a Savanna son bred out of one of our own stud bulls. 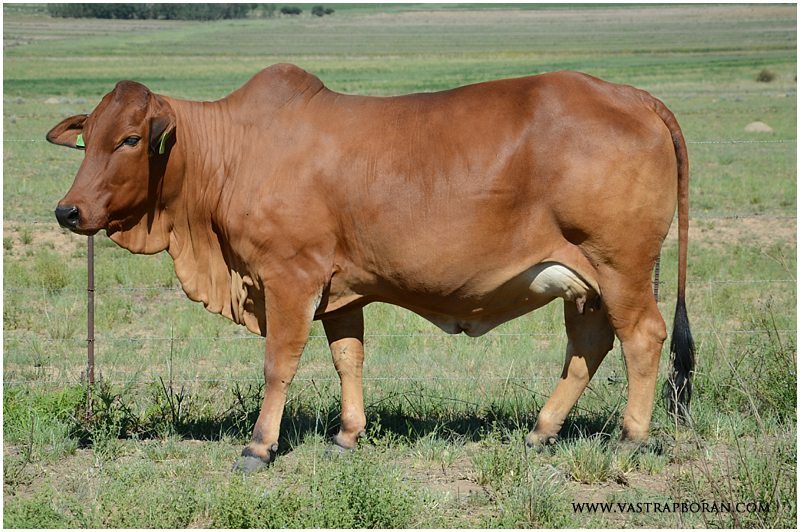 With his breeding, Samurai is therefore the perfect addition to our herd. 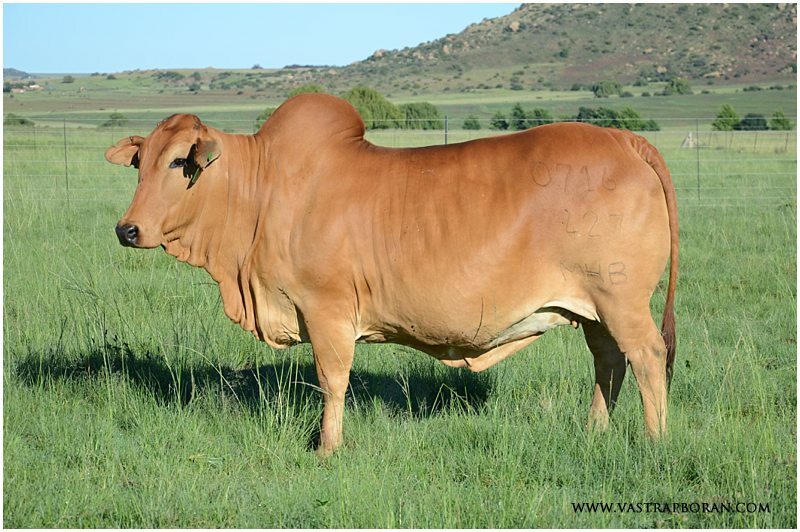 Below are some photos showing the consistent quality of the Savanna offspring. Savanna MHB 09-13. 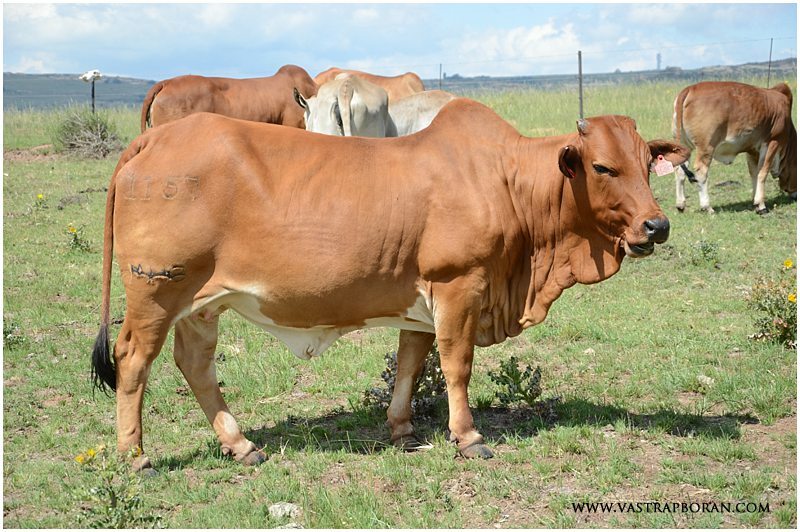 (Savanna TLM 00-03 x Voorslag TLM 02-03) – On offer at the 2016 Vastrap Auction! Savanna MHB 11-57 (Savanna MHB 07-16 X Rustin MHB 06-30). 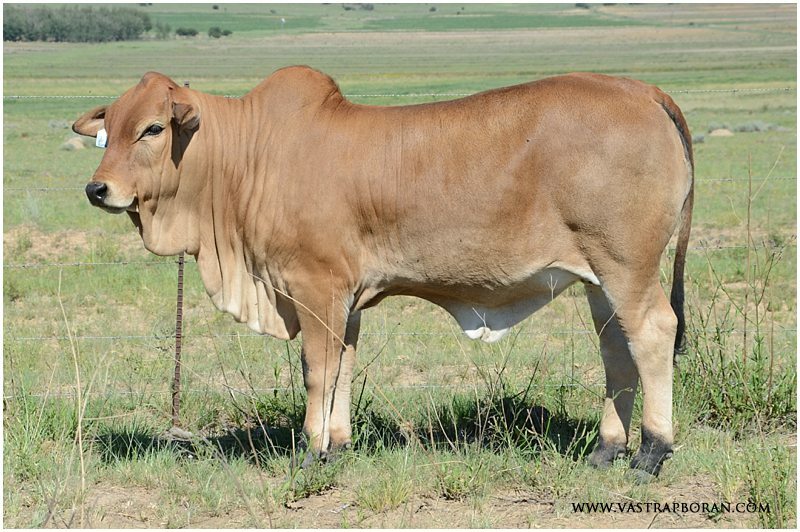 Savanna VST 15-98 (Savanna MHB 11-57 x Zed DLV 10-17). Savanna VST 15-80 (Savanna VST 12-58 x Zed DLV 10-17). 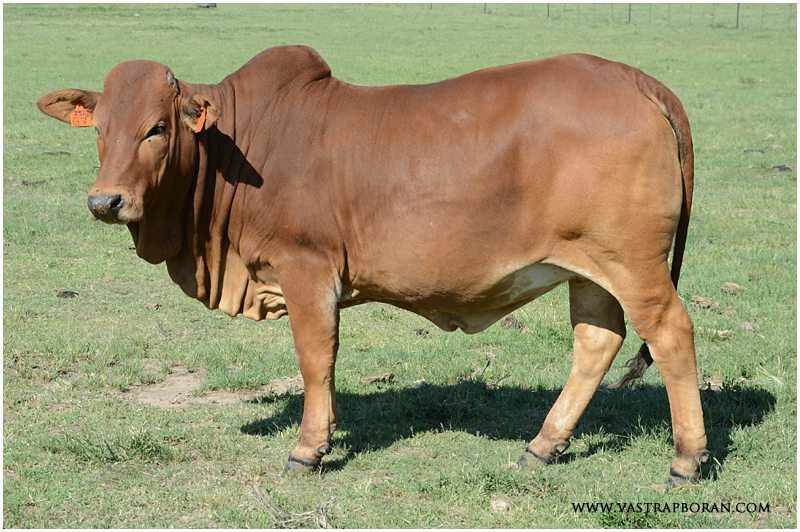 Savanna VST 13-129 (Savanna TLM 00-03 x Rustin MHB 06-30) – highest priced heifer at the 2016 Showcase Auction (R47’000). 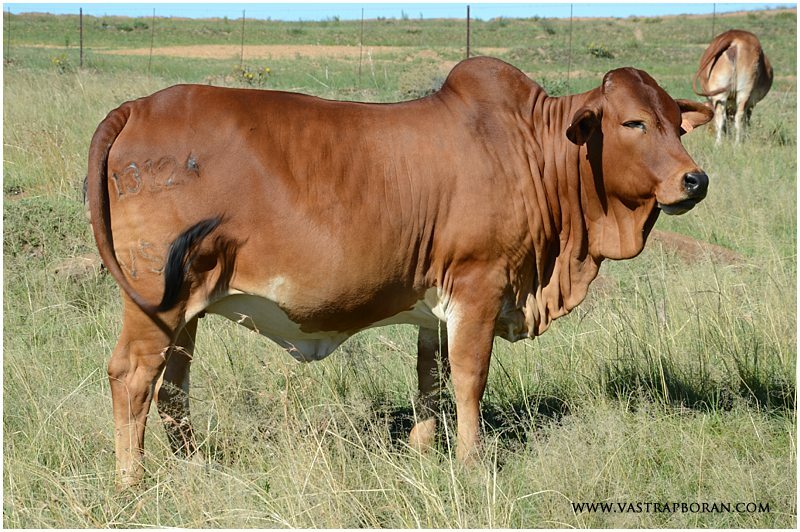 This entry was posted in Blog, Vastrap Auction, Vastrap Boran Stories and tagged Boran bulls, Boran cattle, Boran cows, Savanna bloodline, Vastrap Boran. Bookmark the permalink. Congratulations with your new member on your farm (Samurai) what an exceptional animal.Can’t wait to see his offsprings the following year.I’m really impressed with Quentin’s knowledge regarding the Borans, it shows that the trip to kenya with Stompie was very important. Hopefully I’ll visit your farm soon to purchase a stud sire from one of your bulls and learn more about the borans. Thank you very much for your kind comments! 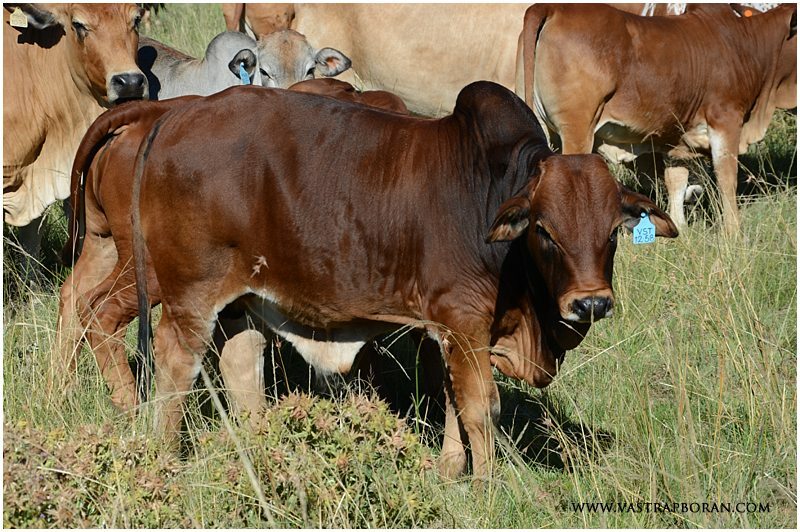 It is always great to hear from fellow breeders with a passion for Boran. We would love to host you at Vastrap some day. Will get in touch via email. I trust that you are well this morning. I just wanted to find out about Samurai’s offspring as yet ever since you purchased him.